To rent or to buy, that is the question! When it comes to determining where you live and what you live in, it’s always best to research the pros and cons and evaluate how they fit in with your lifestyle. While renting a house seems like it would be easier without maintenance costs, you also are more restricted in what you can do while living there. Check out these advantages and disadvantages for buying and renting a house. 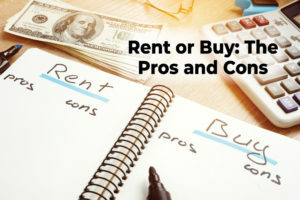 Below are the pros and cons to buying versus renting. When you purchase a house, you purchase an asset that typically increases in value. A house you own can be sold or rented at your discretion. Once the house is completely paid off, all you will need to worry about is paying property taxes, homeowner’s insurance, and the upkeep. Your home’s value can even allow you to take out a home equity line of credit which can help you consolidate debt, pay for college tuition, or cover remodeling costs. Owning a house lets you be your own landlord. There isn’t a contract saying you can’t put holes in the wall or can’t paint a room. You can do whatever you want as it is your property. Additions and upgrades can even serve to increase the value of a home. Maintaining a home is not cheap. When your air conditioning goes out, you are the one who will have to contact the repair company and cover the cost of the bill. The cost of upkeep, like yard work and cleaning, along with the cost of repairs, such as broken windows or leaks, will add up in time. Buying a home generally means you are going to be living in that same spot for a while. You can’t just move whenever you please. If you want to change locations to be closer to a new job, you would need to go through the home selling process. Depending on the housing market in your area, this could take months or even years. When renting a house or apartment, maintenance is generally free. When a sink won’t stop dripping or your air conditioner is making a strange noise, you can contact your landlord and they will work with the repair company to get the issue fixed. Most of the time, unless you did do something to cause the damage, the landlord will be footing the bill. It’s easier to get up and move spaces while renting a property than it is when you own a property. If you keep yourself in a shorter lease, you have the option to move around. Renting a home or apartment lets you experience living in a certain area so if you are thinking of buying a house, you can know what the area is like before fully committing. As a renter, you typically have a detailed contract to follow which stipulates what you can and cannot do. Most of the time, the contract does not allow for remodeling of any kind. Painting, laying down new carpet, or even putting holes in the walls for hanging pictures is frowned upon. When you are renting, that means you are spending money on a house you don’t even own. The homeowner owns that property and can do whatever they please with it. You are simply living there and helping them pay for their mortgage. If you are interested in buying a house or considering if you can afford one, stop by Oklahoma Educator’s Credit Union and an OECU team member will be happy to talk to you about financing options for buying a home. Fontinelle, Amy. 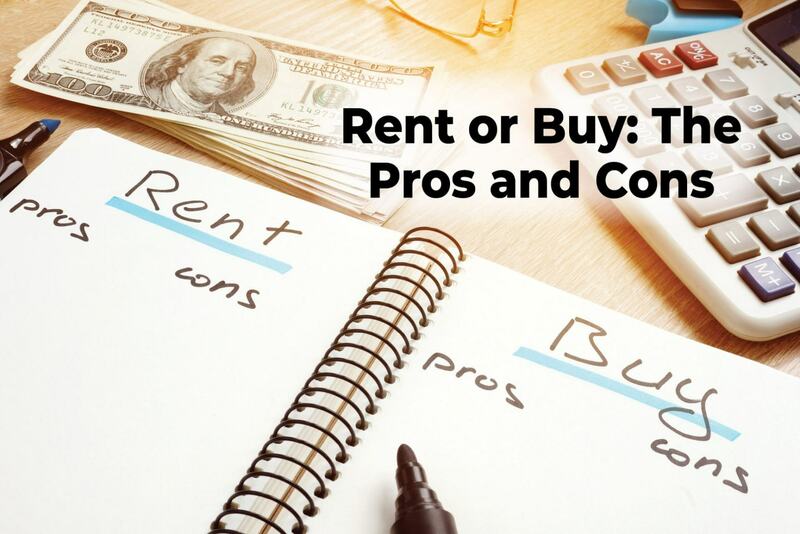 “Pros and Cons of Renting vs. Owning a Home.” Investopedia, Investopedia, 27 Mar. 2018, www.investopedia.com/articles/personal-finance/083115/renting-vs-owning-home-pros-and-cons.asp. OECU is a Equal Housing Opportunity Lender.